The holidays are now in full swing, and I'm pulling out all my holiday cookbooks and magazines to bake some of my favorite recipes for family and friends. Holiday desserts and treats are always very welcomed at parties and our friend's homes, and I'm happy to bring them. Apples and cranberries are both delicious on their own, but I think that when you combine them, they are especially good. 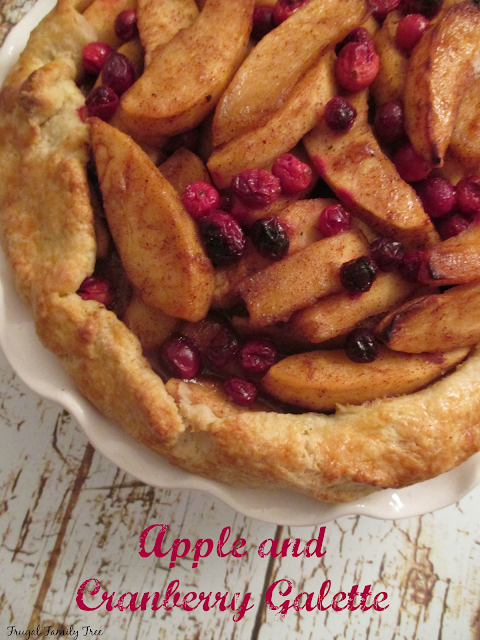 As much as I love pie, it's not always easy to make a great piecrust. But when you make a galette, it's very simple because you are rolling out one free form piece of dough. In fact, the more rustic looking, the better! All this dessert eating means that my family and I are eating an awful lot of sugar. But that doesn't have to be the case when I bake with SPLENDA® Sugar Blend, and SPLENDA® Brown Sugar Blend that I picked up at Walmart. Did you know that the average American consumes more than 22 teaspoons of added sugar a day? And by swapping one cup of sugar with one cup of SPLENDA® No Calorie Sweetener, Granulated, you can save more than 600 calories! With all the treats that we eat during the holiday season, using SPLENDA® is a great way to help avoid that extra holiday weight gain that we all seem to have. Adding frozen yogurt instead of ice cream to a slice of the galette helps keep the calorie count down without sacrificing any of the great taste. My recipe called for white sugar for the dough, and brown sugar for the fruit filling. I used half the amount of SPLENDA® that I would have used of regular sugar, and I think the recipe turned out great! You can go to the SPLENDA® SWEET SWAPS™ website to get recipes and tips on how to swap out SPLENDA® for regular sugar in your baking and cooking. 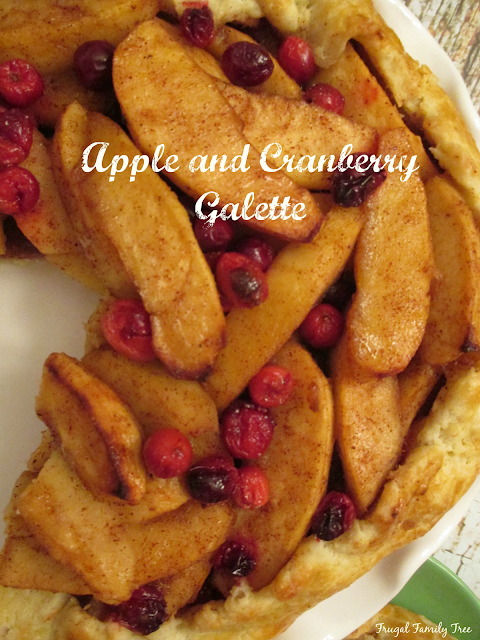 The first thing you are going to do to make this galette is to make the dough, which is quite easy, and then leave it in the refrigerator for at least and hour. You want the dough to be nice and chilled so that it handles better. Then you peel and slice 4-5 apples. Then toss them in a frying pan with melted butter, SPLENDA® Brown Sugar Blend, cinnamon, and nutmeg. After they are softened, add the cranberries and cook for a few minutes more. 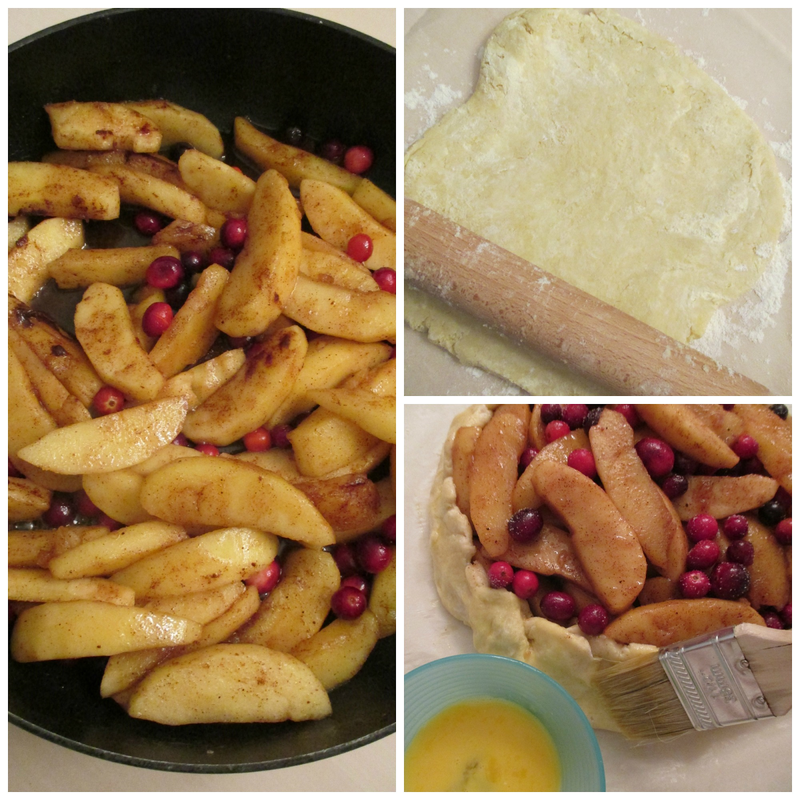 Roll out the dough into a rough circle, place the fruit into the center of it, and fold the edges over the fruit. Brush the dough with an egg wash, and bake in the oven for 40-45 minutes. For making crust, combine first 3 ingredients in a large bowl. Mix in butter with a pastry blender until mixture resembles coarse meal. Whisk together egg yolk and milk, pour into flour mixture, stirring just until dough starts to form a ball. Press together with lightly floured hands, and form into a flat disk. Cover with plastic wrap and put in the refrigerator for at least 1 hour. Peel and core apples; cut each into wedges. In a large nonstick frying pan over medium heat, melt 3 tablespoons butter. When butter is foamy, add apples and stir frequently until they are slightly softened, about 10 minutes. Add cranberries. Sprinkle brown sugar blend, cinnamon, and nutmeg over apples. Stir into fruit, and continue cooking about 5 minutes more. 10-inch round. Place on a large baking sheet, lined with parchment paper. Scoop fruit mixture into center of round. Fold about 1 inch of dough all the way around to form a rim. Combine egg and water, brush outside of galette with the egg wash.
You can find SPLENDA® products in the baking aisle at your local Walmart. 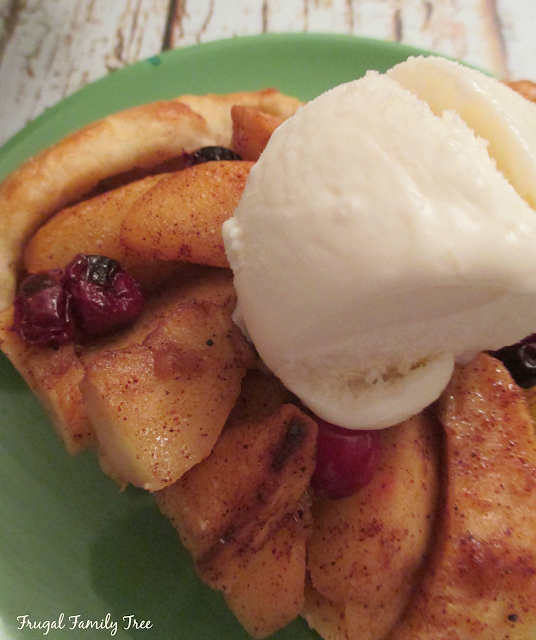 What SWEET SWAPS™ recipe would you like to make for the holidays? Be sure to check out more delicious recipes using SPLENDA® right here on their Pinterest board.